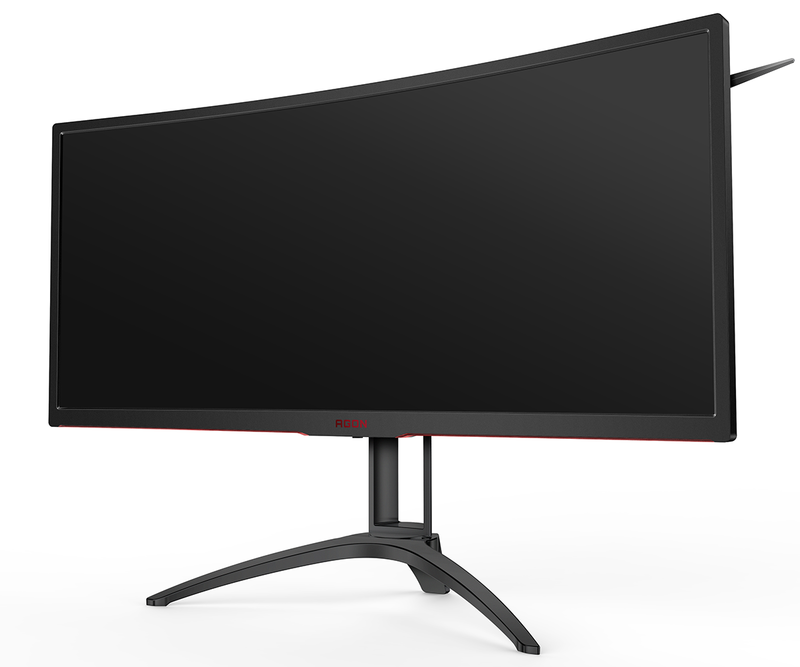 When contemplating a premium monitor purchase, it pays to consider your most frequent usage scenario. The emergence of multiple panel technologies is such that some monitors are better suited to specific tasks; the viewing angles and colour reproduction of IPS tends to be favoured by creative types; the fast response time of TN panels plays well with gamers; and VA displays are a middle-ground of sorts, with better viewing angles than TN and typically impressive contrast. There's no one-panel-fits-all, and AOC reckons VA technology has improved to the extent that it now serves as a prime candidate for enthusiast gamers. Last year's Agon AG352UCG did a decent job of presenting ultra-wide gaming in a curved 35in form factor, and the manufacturer is hoping to go one better with a 2018 upgrade dubbed the Agon AG352UCG6 Black Edition. Making its way to UK stores priced at around £730, the AG352UCG6 Black Edition looks and feels a lot like its predecessor, but a few subtle tweaks to the scaler and UWQHD panel result in less noticeable ghosting and support for Nvidia G-Sync at 120Hz, up from 100Hz on the previous model. How do you go about creating a Black Edition variant of an existing monitor? You start by adding more black. The once-silver stand has been given an all-black makeover and, though a simple tweak, it's an effective one that gives the monitor a feel of a single, sleek unit. 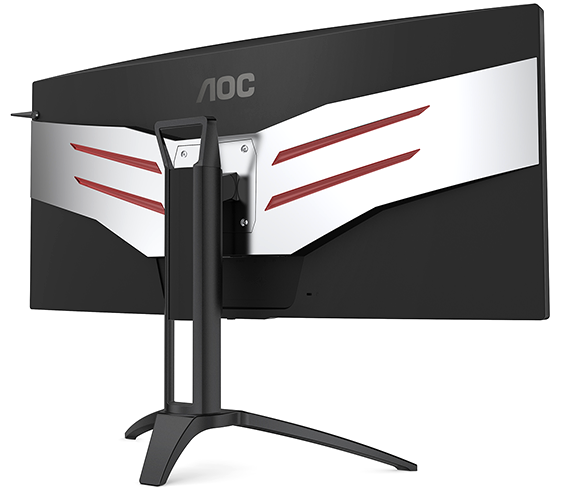 AOC hasn't taken the time to adopt something as fancy as a borderless chassis - the display is surrounded by a 15mm plastic border on the top and sides - yet this is nonetheless a good-looking piece of kit that will take pride of place on most gamers' desks. It's certainly a formidable unit, measuring a whopping 847mm x 587mm x 267mm while tipping the scales at almost 12kg, but the stand does a fine job of keeping it grounded while offering -30/+30° of swivel, -5.5 to 29° of tilt and up to 120mm of height adjustment. 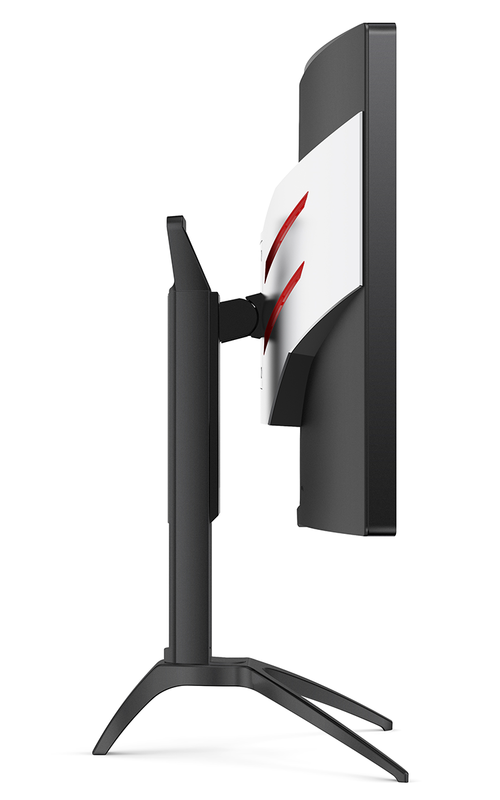 Finding the optimal viewpoint is easy, and so too is attaching the stand, which is fixed in place via four screws to a 100mm VESA mount that can otherwise be used for wall mounting. Height adjustment is always welcome, and the subtle 1800R curve combined with the sheer scale of the panel does an excellent job of creating an immersive gaming environment. Save for the lick of paint, it is essentially the same external design, with a headphone hook on the top-right corner and LED strips across the back and bottom-front edge. The illumination doesn't add to the experience in our estimation, but if you do like a touch of ambient light, the LEDs can be set to red, green or blue, with varying levels of brightness, or they can be turned off completely using the on-screen display. Speaking of which, AOC's OSD is clear and well-laid out, with a good choice of settings, and the joystick control beneath the front Agon logo is almost perfect - navigation is quick and responsive, and the only caveat is that the joystick also doubles as the power button, resulting in the occasional inadvertent press. 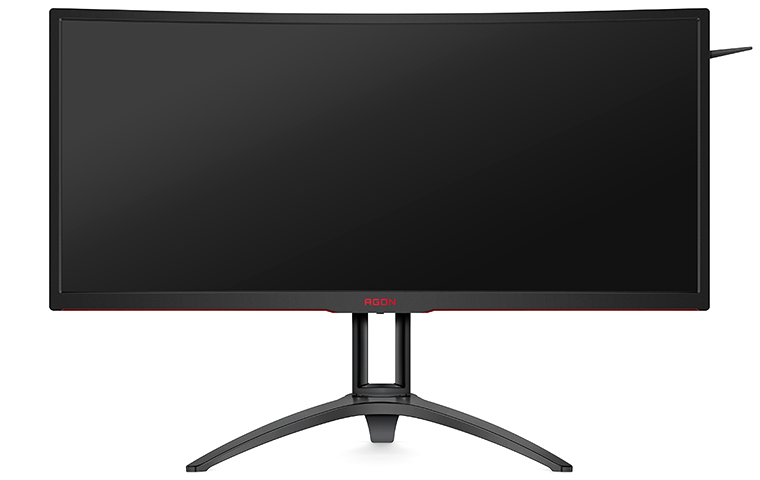 Perusing the specification sheet suggests that not a lot has changed, with AOC continuing to use a matte 35in MVA panel touting a 3,440x1,440 resolution, 4ms response time and 178° viewing angle. What sets the Black Edition apart from its predecessor is a heightened 120Hz refresh rate achieved via an overclock buried in the OSD. It is interesting to note that the panel is shipped to operate at up to 100Hz by default - the 120Hz setting has to be manually enabled by the user - but AOC has confirmed that technical changes beneath the hood will prevent such an option on last year's AG352UCG. Nvidia G-Sync is once again the framerate-smoothing technology of choice, yet though it works a charm at 120Hz, monitors are progressing at such a rate that there's almost always something shiny and new around the corner. 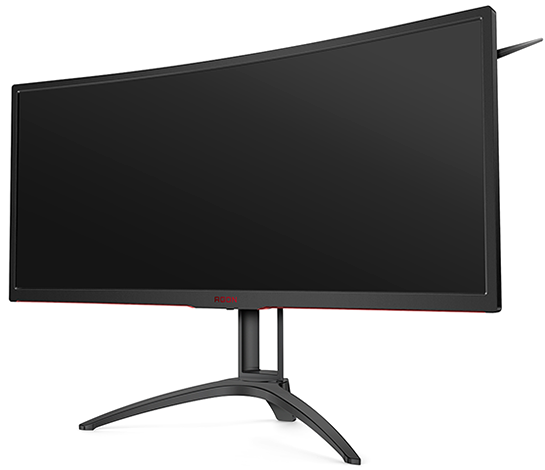 G-Sync on a UWQHD display is tasty, but 120Hz isn't exactly cutting edge by today's standards, and with HDR featuring prominently on many upcoming panels, would-be buyers may be tempted to wait and see. Rounding out the specification, AOC sticks to a familiar formula with integrated stereo speakers that are fine for basic use, HDMI 1.4 and DisplayPort 1.2 inputs, headphone out, and a two-port USB 3.0 hub. Nothing out of the ordinary, but if image quality is up to scratch, this could be a thoroughly enjoyable place to game. Let's take a look at the test results.